Workers of state-run jute mills across the country are observing a 96-hour strike to press home their nine-point demand including payment of outstanding wages and implementation of a wage commission. Workers of 22 jute mills including nine of Khulna division began their strike at 6:00am on Monday. Workers of Latif Bawani Jute Mills and Karim Jute Mills blockaded road in capital’s Demra Staff Quarter’s area, reports our staff correspondent. 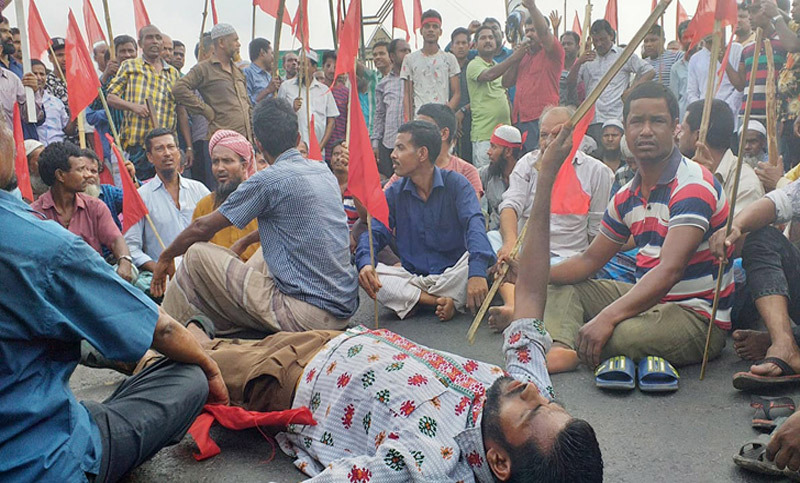 According to UNB report, workers of nine state-owned jute mills under Khulna division are also enforcing a road blockade programme from 8:00am to 12:00pm.